Here’s a handful of my top techniques that I use to develop new and interesting chord changes. I know, it’s not new, but I-IV-V doesn’t have to be uninteresting. There’s a reason why these chords are so fundamental to our harmony. So master them. Use their constraints to challenge your songwriting ability. Just take a look at the top 10 in the past 10 years and you’ll find a long list of songs that use the same chord progressions. The chord changes to Prince’s Purple Rain have been used before that song and after that song many, many times. The challenge then becomes how to write a unique melody over those chord changes. One of my favorite techniques to come up with chord changes is to simply copy another song and then modify it. You can modify the color of the chords (major/minor/dominant 7/major 7/etc.). You can modify the rhythm of the chord changes by making them change faster or slower or syncopate them. You can play the chords backwards or start in the middle. You get the idea. Modal progressions are a very easy place to start. The best modes to begin with are Mixolydian and Dorian. 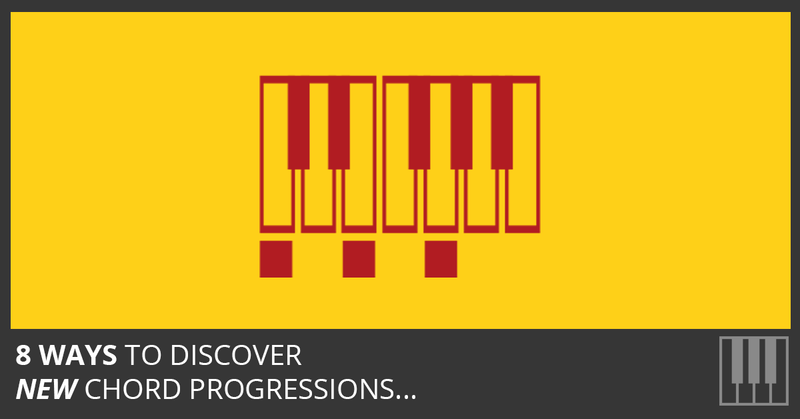 Modal progressions are easy to memorize once you know the key tones that make the mode unique. 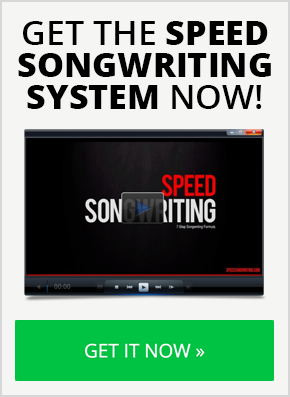 I go over all the modes in the Speed Songwriting System. The blues doesn’t have to sound like the blues. There’s no point in trying to be another Robert Johnson. Just listen to Prince’s Kiss or U2’s When Love Comes To Town. Classical music is an endless supply of time-tested music to recycle. Sting’s Russians is a great example of a song that is based on Prokofiev’s “Lieutenant Kije” Suite. I’ve used the virtual instruments in GarageBand and Logic Pro to inspire me and I’ve messed around with lots of apps that have resulted in quite a few keepers. 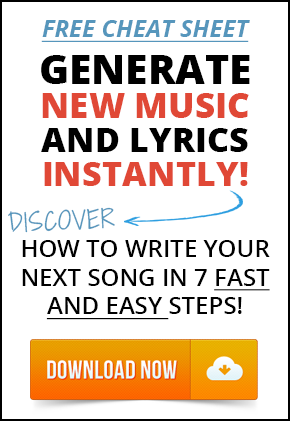 I have a songwriting tools page in the Speed Songwriting System that will keep you inspired for years! That’s it for now. I’m sure you have some chord progression shortcuts that I haven’t thought of yet. Please share them in the comments. I like to change chord types from major to minor or the other way around. It is unexpected and connects emotionally. I also like your tip to add 7ths or other tones too, like 9/11/13. I think this works great when it happens in one instrument but not in another, for example, guitar playing triads and keys playing color tones. You could easily add secondary dominants or borrowed chords to a I IV V and have lots of spicy sounds to work with. The iio7 comes from the parallel minor. Thanks for writing this post. Ive never really written a blues before gonna try that and may add some spice to it! Great tips, Graham. Thank you. For tools, I find Chordbot (IOS) to be extremely useful, because it is so simple to use that I am not distracted by program complexities. It lets you easily try different styles and variations. I use it for prototyping new progressions all the time. I play the blues all the time mixed with surf and punk then throw some country bends into the mix every once in awhile.